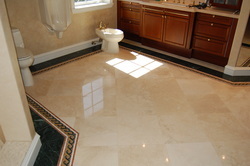 The A1 Marble company has been around in the United States since the 1980s when the stone rush in Florida grew wings and flew. With the establishment of their company in 1981 they jumped into Florida on big projects from the very beginning. They were able to import precious stones and marbles from major architectural countries from all over the world like Italy, Spain, and France. This really set them forward a few steps in terms of client basis and capital input.